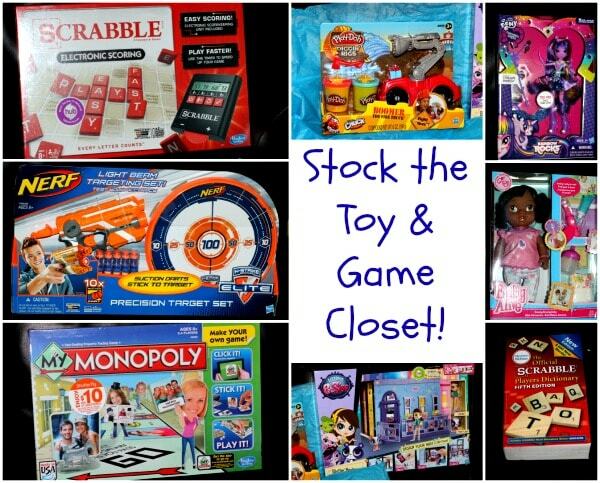 Hasbro is here to help add new fun to your game and toy closet. 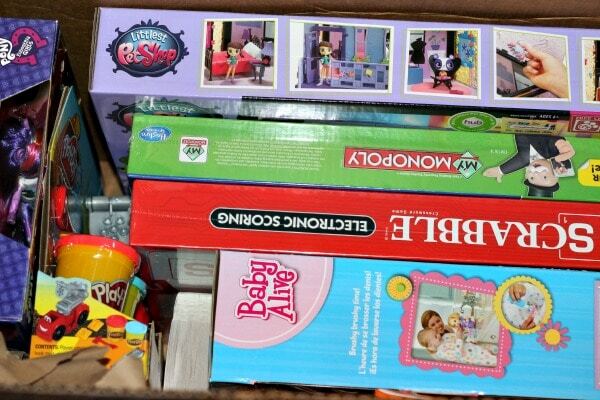 I received an assortment of toys and games from Hasbro for review purposes. All opinions are my own. With cooler weather here, we are officially in hibernation mode. Free time will consist of indoor activities, like game night. My Monopoly – You can now personalize your Monopoly game. Create custom property spaces, game tokens, Chance Cards, Community Chest Cards and more to make the game your own. Scrabble Electronic Scoring Game – The Scrabble that we all know and love but with an electronic score keeper. Use it to easily keep score on the handheld scoring unit. You can also time people with it and keep track of the highest scoring word. My Little Pony Equestria Girls Dolls That Rock – These dolls actually do rock. They “come to life” singing the My Little Pony Equestria Girls song. Baby Alive Brushy Brushy Baby Doll – Little ones can take care of their own baby with this lifelike baby doll. Use the “magic” toothbrush, toothpaste, bottle, and diaper to keep baby happy. Littlest Pet Shop Blythe Bedroom Style Set – Blythe Baxter loves to decorate her room. Fans can help Blythe create an amazing bedroom with fun backdrops, stickers, and several finishing touches. Play-Doh Diggin’ Rigs Boomer the Fire Truck Playset – Use the mold and stampers on the fire truck to create Play-Doh bricks, blocks, and even flames to set up a dramatic scene. Comes with two 3oz cans of Play-Doh. Nerf N-Strike Elite Precision Targeting Set – Take aim and sharpen skills using the precision light beam. Blast away up to 85 feet at the target challenging even the most experienced Nerf fans. This will be hanging in our garage in no time. I can see Mike and my nephew getting a lot of use out of this! 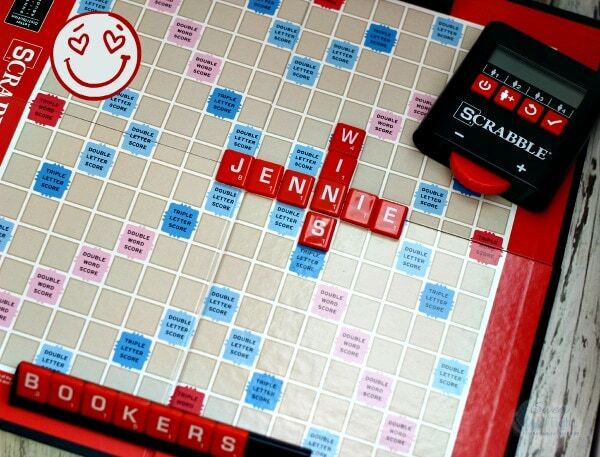 My personal favorite has always been Scrabble. Perhaps because I WIN. 😉 I love the new electronic score keeper. In every game I’ve ever played, someone always forgets a pen and paper. I remember last time we played at our girls’ weekend we used a gross nub of a pencil and a super small scrap of paper. Totally unprepared. The competition can get a little chaotic, too, so this will help us keep our heads in the game! What’s your favorite Hasbro game? Great games, a few I could add to our family game nights, we love UNO, scrabble, connect four, card games, and anything interactive. My favorite is still Scrabble, but there are soo many nice games here for kids – time to buy ahead of the holidays!!! We play a lot of board games. We have a family game night every Sunday. We let the kids each take a turn picking a game which is usually Monopoly. Me and my husband play scrabble every once in a while. I didn’t know Scrabble has an electronic score keeper now. That will make it SO much easier & fun! I love to play board games and play with my son & daughter-in-law. I look forward to win my 4 year old grandson can play “big people” games! He loves Hungry Hippo’s & I’m getting him the classics, Candy Land, c=Chutes and Ladders, and Hi Ho Cheerio for Christmas.